Sculpting their sound from long nights out, hung-over days in, and their parents’ old vinyl records, The Vernons distil a distinctly modern blues-rock sound and have been already compared to The Black Keys, Jack White and Kings of Leon. All Australians, from Gold Coast, the band is Jonny Nyst on lead vocals and some guitar, James Nikiforides on lead guitar and backing vocals, Hugh Taits on bass and Elliot Gooch on drums and backing vocals both. The band started playing live as soon as it formed. Their live shows, always full of energy, performances sweep the audience along largely in a frenzy of animated interactivity. 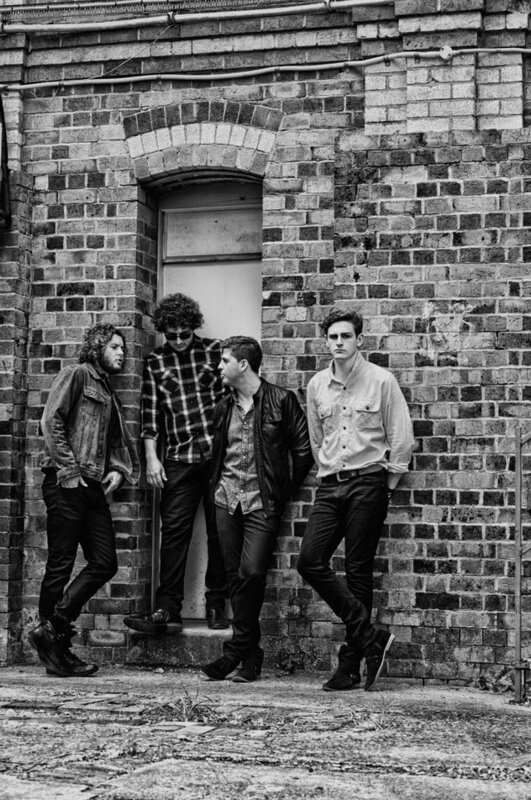 In addition to successful headline tours behind the band’s single and EP releases, The Vernons have supported other acts across the genres, sharing the stage with Wolfmother, Seasick Steve, The Rubens, Wolf & Cub, Hoodoo Gurus, Stonefield and Ash Grunwald. Busy writing songs for a new EP they are readying for May/June this year, The Vernons took time out recently to shoot a video for a song from the Volume II collection, band’s last production that bursts out all their rock attitude and heritage. I Want Her Back At Home is something of a contrast to earlier singles from the band – this slower-paced song exposing a more contemplative and emotive layer than some of the foursome’s harder-edged material. Written originally about the deep yearning experienced when some lovers part, the track features frontman Jonny Nyst’s superb vocals against a stripped down yet enormously accomplished guitar interplay. Musicians Hall of Fame inductee Louie Shelton produced the recording. Listen the full EP below and watch the video for I Want Her Back At Home now.